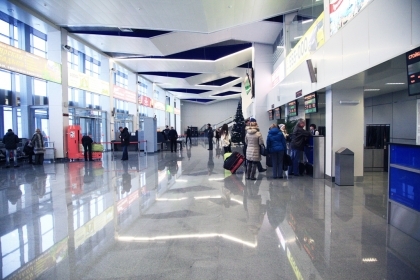 The check-in of passengers and handling of baggage in the airport on domestic lines starts, as a rule, 2 hours prior to departure and ends 40 minutes prior to departure, and on international airlines it starts 2 hours 30 minutes prior to departure and ends 40 minutes prior to departure. In specific cases this time can be changed as mutually agreed with the Carrier. For check-in and luggage handling you have to show your ticket and passport to the check-in dispatcher. You luggage is not handled without your presence. After completing the check-in and handling over of baggage the passenger receives boarding card and baggage tags. 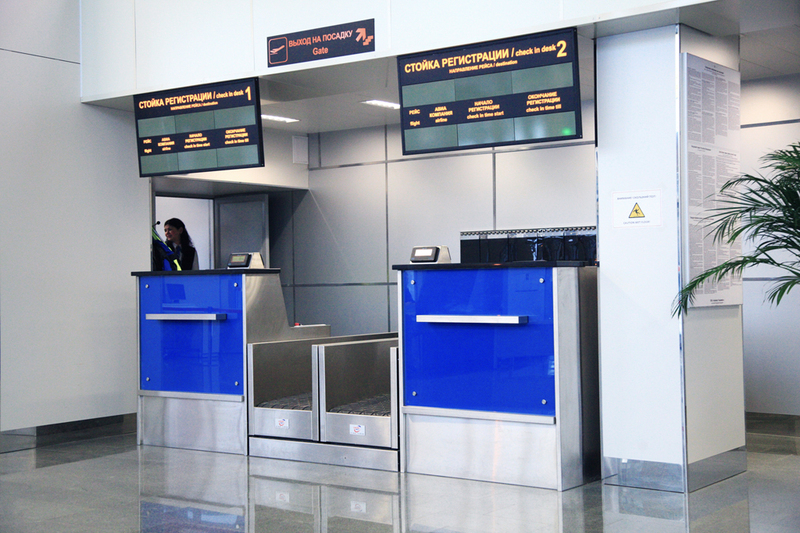 Business class passengers undergo to the check-in on separate check-in desks in the business zone. Document examination in the course of the check-in is a part of the preflight inspection. Passengers who didn't pass the preflight inspection are not admitted to the boarding.